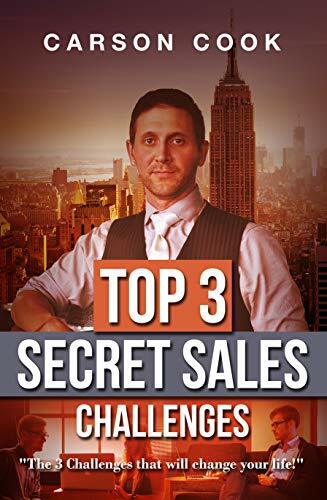 The "Top 3 Secret Sales Challenges" book & workbook is the perfect tool that you can use to build and master a perfect sales foundation. The main factor that drives success in business is connections. Connections with your clients, customers, employees, associates and family are what drive the success in your life. How do profitable and lifelong connections start? They start with understanding Empathy, Positivity, & Praise. The activities in the “Top 3 Secret Sales Challenges” will challenge you. The workbook will train you. In the end you will be able to successfully start new relationship and build profitable connections. Enjoy these challenges as they have changed my life, and if completed properly, they will change yours as well.